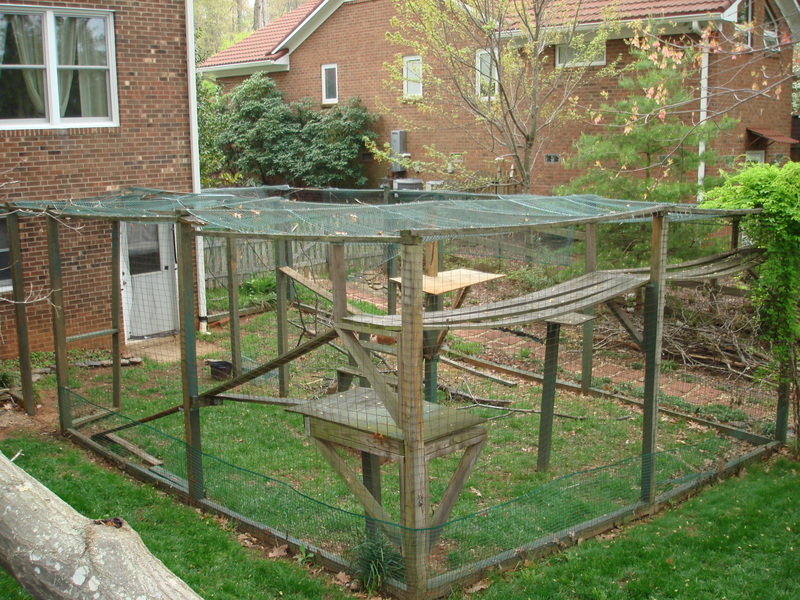 Now these special cats already had a make-do sort of structure for outdoor time, but it just wasn’t filling the bill for their outdoor living dream. It was rundown and did not have the exercise equipment well toned sleek cats need. 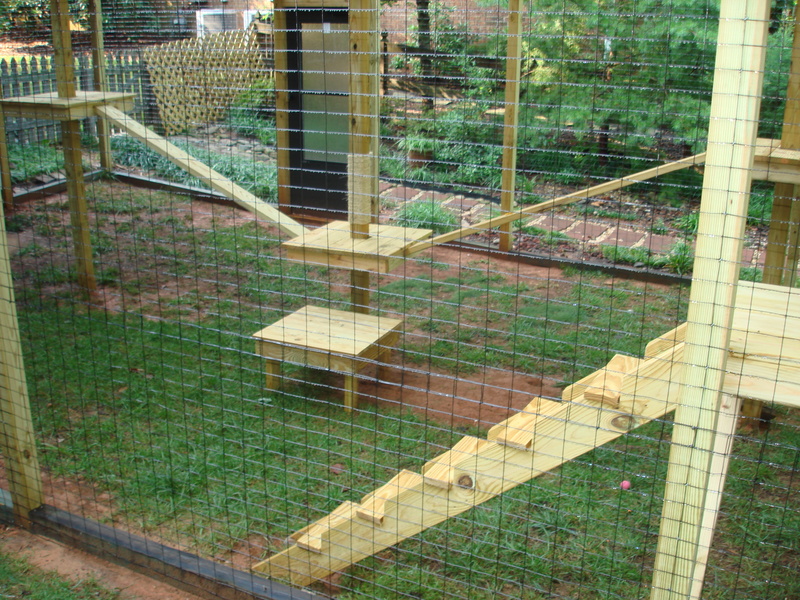 Their humans placed a call to us(they were past clients who knew we custom designed and built). We set an appointment time to meet with the cats and their humans. The cats told us their needs and wants and the humans told us the budget. We went to the drawing board and created two amazing designs for them: returned with our designs and cats and humans agreed on the right one for them. 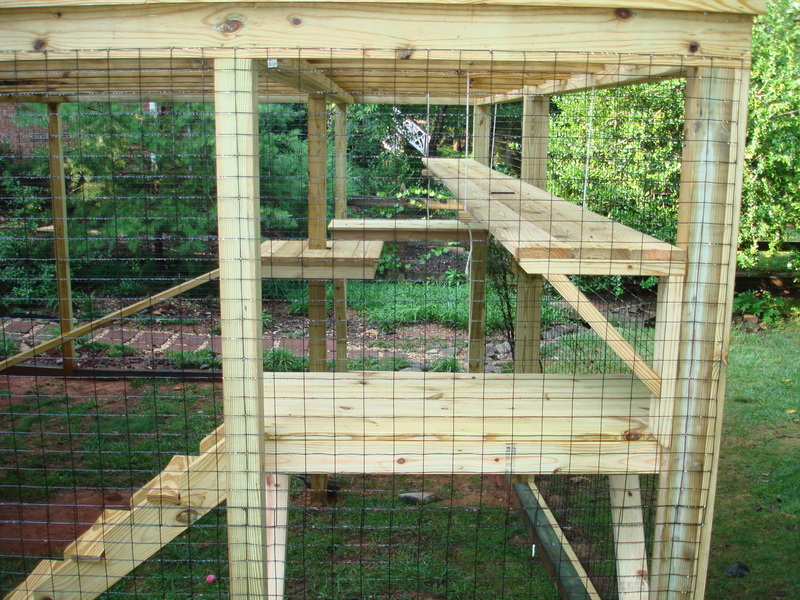 Check out the following photos of the finished project we call “the kitty corral”! 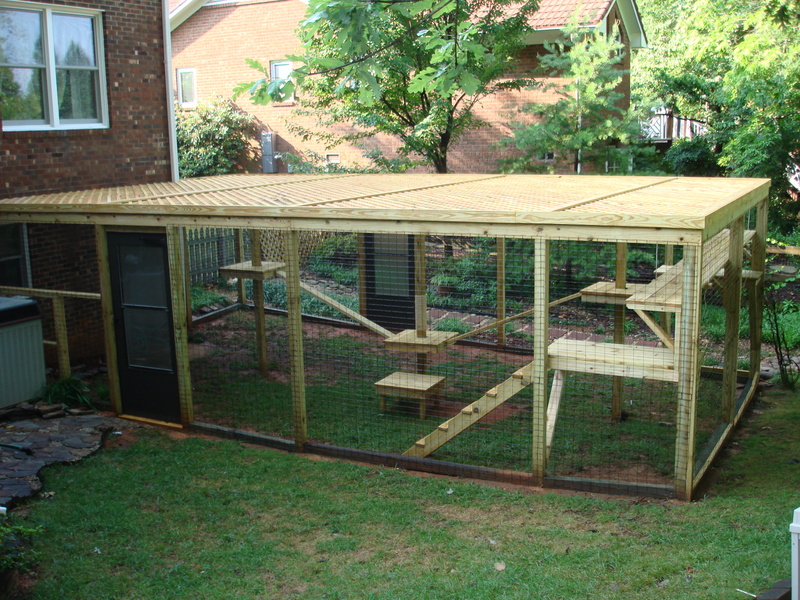 They even have a polycarbonate roof to keep of damaging UV rays and most especially the rain. You know how cats hate water! This entry was posted in bench, best value, Custom decks, custom design, decks, design, garden structure, oudoor garden structure, outdoor living space, outdoor projects, outdoor rooms, pergolas, pressure treated decking, pressure treated wood decking, relaxation, shade pergola, trellis and tagged Custom decks, design consultation, outdoor living projects, pressure-treated wood, shade, wooden outdoor structures. Bookmark the permalink.